Whether you have left the house today or spent the duration on social networking sites, I’m sure it’s not escaped your attention that yes, it is snowing in most of the UK right now. It’s been at it since dinner time. I was particularly concerned this time though as I had to make a little adventure from Manchester to Stoke on Trent in a 1ltr Automatic Nissan Micra that is barely road worthy during this ALMIGHTY BLIZZARD (I’m exaggerating, it wasn’t actually that bad at the time) Anyway on my travels I came across this absolutely wondrous site. 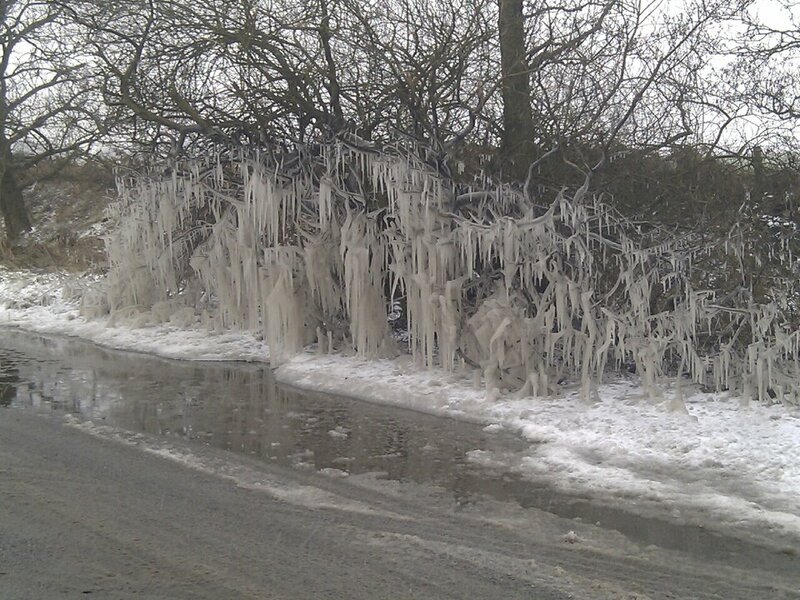 On a country lane where the vehicles going past had splashed the puddle up the bush it had developed in a draping of icicles. So I abandoned my car and took a few snaps on my phone. Sorry if you’re sick of the snow talk, I just really thought it was a bit amazing. It’s been a slow day, I know. 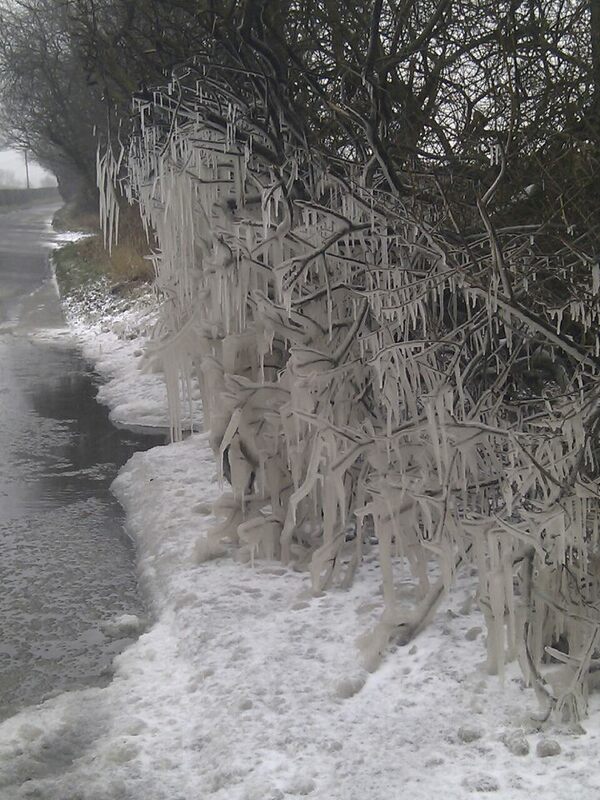 Have you seen any awesome sights during the frosty weather?